for $304,325 with 4 bedrooms and 3 full baths. 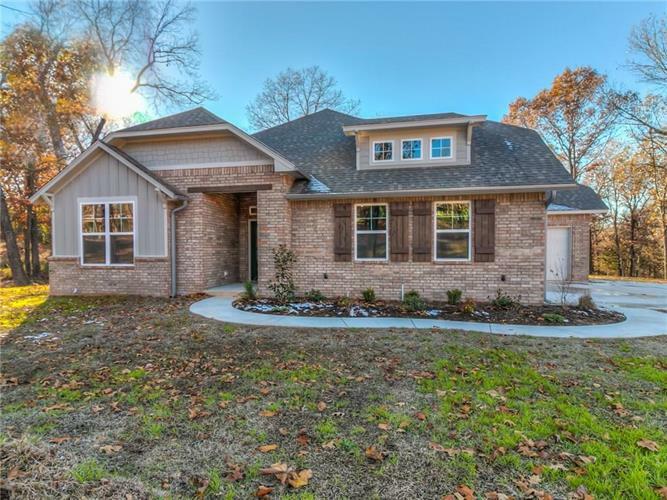 This 2,795 square foot home was built in 2018 on a lot size of 1.8 Acre(s). The beautiful curb appeal of the Steamwood designer home welcomes you with an attractive porch entrance and high ceilings. One of the unique features of this charming home plan is an elegant entry hall which leads you into the spacious open concept dining and living room with wonderful light streaming in from multiple windows. Highlights of this home include a stunning fireplace in the living room and a spacious laundry with attached mud room easily accessible from the kitchen or garage area. With more than 2, 700+ square feet of charming living, our beautiful 4 bedroom, 3 bathroom Steamwood designer home has everything you ever desired and more.